Materials and Care: 100% polyester fleece. Hand wash cold, line dry. Be cute and comfortable for the Christmas season (or hunting season) in this adult deer or reindeer hoodie costume! Easy unisex adult costume is great for men or women! 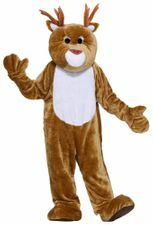 Includes soft and comfortable brown and white fleece zip-front hoodie with two pockets and hood with ears and soft antlers. The back features white spots and a cute little reindeer tail! 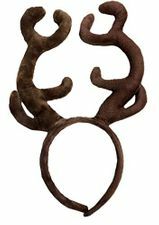 Also great for a Rudolph or Sven costume! 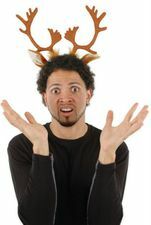 See more reindeer and deer costumes in our Reindeer Costumes section!